A couple of French websites have listed Histoire(s) du Cinema on the Gaumont planning for November 8th. No more details are available at present, but Gaumont usually does not include English subtitles. It is interesting that they are finally releasing it on DVD, given the potential copyright issues and that means that it could potentially be released by other companies in English speaking countries further down the line. Apparently the principle of limited quotation permissable in a work of criticism is the the copyright loophole that HISTOIRE(S) gets through... That and the fact it's Godard and there appears to be an implicit consensus to overlook possible infringement.... i.e. what would be the point? If this pans out, it's very good news indeed! This is scheduled to play November 4 and 11 at the Wexner Center in Columbus Ohio. Real tears of joy when I saw that one! If this is getting a state side release I would think a DVD would have to follow. subliminac wrote: This is scheduled to play November 4 and 11 at the Wexner Center in Columbus Ohio. Real tears of joy when I saw that one! If this is getting a state side release I would think a DVD would have to follow. I know almost nothing about Wexner, but it seems like you guys always get crazy cool stuff there. Marker, Akerman, Histoires.... You make me jealous. A couple of French websites have listed Histoire(s) du Cinema on the Gaumont planning for November 8th. Could you post links to the French websites? Knowing Gaumont, it is very likely that it won't show up on the 8th of November, but sometimes next year. No sign of Histoire(s) on amazon.fr, but fnac.com has it as a 4-DVD set released 8th November for 52,59 â‚¬. Its up now at Amazon.fr. Not much in the way of details but nice price! are we sure there'll be no subtitles on this? BrightEyes23 wrote: are we sure there'll be no subtitles on this? Still nothing on their website though. Now IÂ´m a bit confused. The Master of Cinema calendar lists the forthcoming Godard box as w/out subs. This forum thread says NO SUBS, too. The actual thread confirms: subs: oui! WhatÂ´s the truth? To the best of my knowledge, Gaumont has never issued a DVD with English subs. I suspect there's either been a miscommunication or they're simply lying to snare a sale. If Gaumont are saying it will have English subtitles then, as far as I can see, and correct me if I'm wrong, but this is the most accurate and uptodate information any of us have. Because HISTOIRES is such a large project, and because Artificial Eye are working on it too, it's quite conceivable that they're pooling their resources and working together on one set of PAL masters (a la Artificial Eye and MK2 with the Bresson releases, or Tartan and Blaq Out with TWENTYNINE PALMS for example). We've changed the listing on the MoC Calendar to indicate that Gaumont are saying it will have English subs. 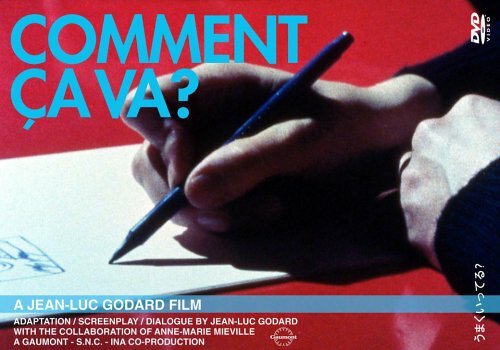 Will your upcoming Historie(s) du Cinema DVD of Godard carry English subtitles? This has been a great year for Godard on DVD! I hope we continue to see new titles - does anyone know if Raro Video is still planning to release Hail Mary in December? That should be the definitive copy. peerpee wrote: Because HISTOIRES is such a large project, and because Artificial Eye are working on it too, it's quite conceivable that they're pooling their resources and working together on one set of PAL masters (a la Artificial Eye and MK2 with the Bresson releases, or Tartan and Blaq Out with TWENTYNINE PALMS for example). Do you think AE will have better English subs (as that would be their market) than the Gaumont version? If so, it would seem the only sensible thing for us English speakers to do is wait for the AE version. Parts 1a & 1b have evolved since, so these probably could not be used on a DVD release in 2005/6... Whichever way, it would have to be a mammoth effort of labour and love on the part of Gaumont (and indeed AE) to do this project justice! So which segments are being included in this (or the AE) release? Andre Jurieu wrote: So which segments are being included in this (or the AE) release? Total running time: 315 minutes? Still nothing on Gaumont's site though. The street date is now the 23rd. As I said before I really doubt it will be out at that date, or even this side of X-mas, knowing Gaumont. I didn't think this merited its own thread, but I thought I would note that "Comment Ã§a va?" is coming out on DVD in Japan on 11/25. You can get it at amazon.jp. Barmy wrote: I didn't think this merited its own thread, but I thought I would note that "Comment Ã§a va?" is coming out on DVD in Japan on 11/25. You can get it at amazon.jp. Im liking the cover. does it have english subs? I know, I know...I should learn french. Last edited by godardslave on Wed Nov 16, 2005 3:31 pm, edited 1 time in total. It is highly unlikely that the Japanese DVD will have English subs. It is amazing how many Godard films are available exclusively in Japan, including the elusive Le Vent D'est.